Mortgage Jobs - For Freshers And Experienced Professionals IndiaJoining.Com – Govt Jobs, Sarkari Results and Much More! Find the jobs below that suits your profile most. All vacancy openings listed below are live with relevant recruiters/firms. Capital First Limited recruits to fill-up the posts of Relationship Manager Small Ticket LAP/Mortgage in Jamshedpur/Ranchi area. Interested candidates may apply through here. Capital First Limited, listed on BSE and NSE, provides Mortgage loans to SMEs against pledge of property, Gold Loans to retail customers, Consumer Durable Loans, Two wheeler loans, and senior secured Wholesale loans. Education Standard: Graduate degree in any specialization. Experience: 02 to 05 years experience. Should have good networking and relationship building and new business development skills. Should have experience of handling of Channel Partners and DSA for managing business. Other Requirements: Should have good planning and execution skills. Extensive knowledge of mortgage services, products, operations, and current market trends will be added advantage. Preferably good knowledge of market & any Asset Product. Responsibilities: The incumbent needs to be target oriented with ability to handle multiple tasks. The incumbent be responsible to generate business for Small Ticket Loan against Property and build a quality portfolio. To identify the need of changing market trends, channel development. Teamlease Servcies Limited recruits to fill-up the posts of Relationship Manager (Mortgage) in Kolkata area. Interested candidates may apply through here. Education Standard: Bachelor degree in any specialization. Experience: 01 to 06 years experience. Other Requirements: Candidates having good experience & network in sales & marketing shall be given preference. Responsibilities: The person will be responsible to manage sales of Home Loans in given region. Generate & maintain Agents/Advisors base number. Recruit commission Agents/Advisors and drive business through them. Train, Motivate & Mentor the team of Agents/Advisors. Ensure the fulfillment of budgetary expectations of the organization. To act as a productive resource by meeting targets. Small Business Fincredit India recruits to fill-up the posts of Executive Gold Loans (Mortgages) in Chandigarh/Delhi/Faridabad/Jalandhar/Panchkula area. Interested candidates may apply through here. 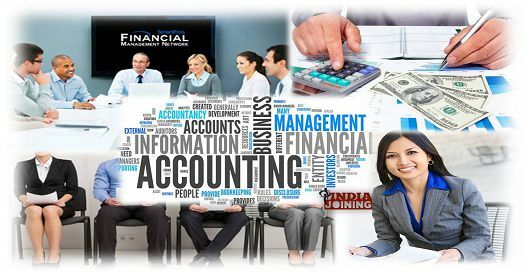 The company is a premier integrated financial services provider, covers the entire spectrum of financial services such as Stock broking, Depository Participants, Distribution of financial products – mutual funds, bonds, fixed deposit, equities, Insurance Broking, Commodities Broking, Personal Finance Advisory Services, Merchant Banking, Corporate Finance, placement of equity, IPOs, among others. Education Standard: Freshers / Undergraduates may apply. Graduates preferred with prior experience in sales. Experience: 00 to 05 years experience. Other Requirements: Candidates needs to be open for Field work and marketing activities. Should have good communication skills. Responsibilities: Sales / Field Job / Cold Calling are the main responsibilities. Maintaining and increasing branch LAG Portfolio. Candidates, in addition, shall also be responsible to carry our marketing activities like pamphlet distribution, cold calling and branch gathering. Generate new business for gold loans, mortgage loans through sales activities. Calling existing customers for top ups and customer retention.